There are many possibilities and opportunities to increase the level of health and happiness in one's life. Through the use of complementary care techniques, such as those combined in a “Zen Den Hypnopuncture Happy Hour”, we are able to improve the body’s functions and promote the natural self-healing process - Physically, Emotionally, and Subconsciously. Happiness and Health goals are accelerated through a whole Mind and Body approach. 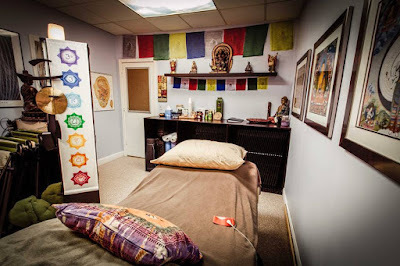 Receiving a specialized hour of acupuncture combined with advanced care hypnosis is an hour well spent in elevating one's personal level of both happiness as well as health. Studies are beginning to show that this combination is producing some amazing results. Hypnopuncture therapy releases blocked qi in the body while stimulating functions. 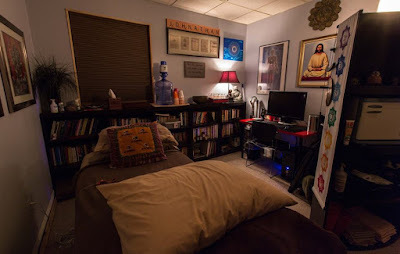 At the same time, while in an extremely deep state of relaxation, subconscious suggestions are introduced based on your goals and desires, thus evoking the body’s whole body natural healing response. Modern research has demonstrated these positive synergistic effects the nervous system, endocrine and immune systems, cardiovascular and digestive system, and has increased both emotional and mental health balance. By stimulating the body’s various systems including the belief system, Hypnopuncture can help to resolve as wide range of symptoms such as pain, weight management complaints/ food cravings, addiction, irritability and depression. It releases stress and anxiety, improves sleep patterns, promotes healthy digestive function, and increase a greater sense of WHOLE BODY well-being. This powerful healing experience leads to both increased physical and emotional well-being, and accelerates healing. 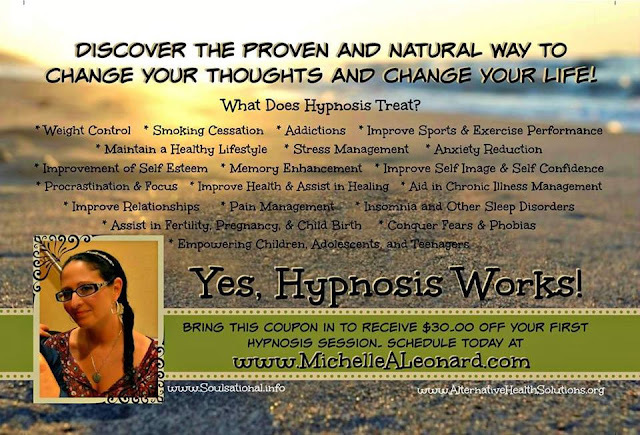 Hypnopunture guides you compassionately and safely into greater health and happiness (physically, mentally and emotionally) by helping restore and maintain homeostasis; balance in the body. 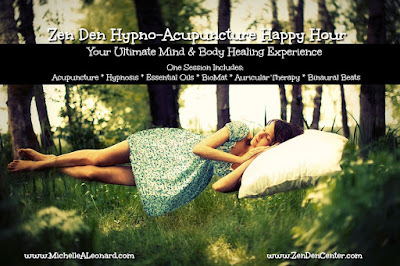 “Zen Den Hypnopuncture Happy Hour” is truly an effective way of speeding up the healing process. Schedule an appointment today and create your own special happy hour. Change your life, manifest your future, and accelerate your healing capabilities. You have the ability to manage your health and create your own happiness. You will be stronger, more resilient, and will see the positive results impact you throughout your entire life.